A 54-year-old man suspected in four recent Laguna Beach burglaries was arrested Sunday, July 16, when surveillance cameras picked up the whereabouts of his wanted vehicle, police said. The most recent break-in linked to the spree occurred 15 hours earlier when a restaurant cleaning crew surprised a burglar at 2 a.m., according to the police log. The thief smashed a window to gain entry and made off with safes containing $14,000 in cash, the log entry says. Police detained Reed Swingley, of Sun City, at Cleo and South Coast Highway about 5 p.m. A search of his vehicle turned up an array of stolen property that included a safe, a large amount of cash, an antique saxophone and a bronze statue, says a police statement. Police suspect Swingley of three separate commercial burglaries and a break in at a home on Gaviota Street between July 1 and 16. The home break in occurred on Saturday, July 15. A review of surveillance video from one of the businesses, as well as from the residence, identified a person of interest and a suspect vehicle, the statement says. Swingley was arrested for burglary and possession of stolen property, and other theft related charges, police said. He was transported to Orange County Jail. Disturbance. Cliff Dr. 10:39 a.m. As a result of two men who were observed drinking beer while driving, police arrested Raymond Flody, 45, of Tustin, for a warrant and suspicion of DUI. Bail was set at $10,000. Vandalism. 300 block of Artisan Dr. 11:16 a.m. A man suspects his girl friend with keying his car. Theft. 100 block of Thalia St. 11:33 a.m. A youth’s cell phone and wallet were taken sometime between 4 and 7 p.m. the day before. Foot patrol. 1200 block of Ocean Front. Almad Theoleous Lothyan, 27, of Chino Hills, was arrested for suspicion of providing police false information. Bail was set at $20,000. Suspicious vehicle. Katella St. A 35-year-old from Arkansas was cited for possessing a meth pipe. Drunk driving. 600 block of S. Coast Hwy. A 58-year-old Laguna Hills woman was cited for DUI after hitting a parked car. Disturbance. 1400 block of Cerritos Dr. A 19-year-old who made a phony report about domestic abuse involving his parents was arrested for misusing 911 and spitting at a jailer. Bail was set at $25,000. DUI. 1200 block of Ocean Front. 5:33 p.m. After hitting a parked car, police arrested a 55-year-old Huntington Beach woman for DUI. Burglary. 1300 block of Temple Hills Dr. 12:05 a.m. A resident reported seeing an individual with a ladder against a residence attempting entry at a window. Grand theft. 600 block of N. Coast Hwy. 7 a.m. Detectives are investigating the 7 a.m. theft of $5,400 in high-end wine, Heineken beer, and two coolers. Pedestrian stop. Beach St. 2:50 p.m. Ashley Taylor, 33, of Nuevo, was arrested for a Los Angeles county warrant. Indecent exposure. 31800 block of Coast Hwy. 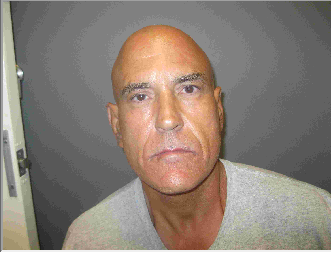 Transient Douglas Banis, 61, of San Clemente, allegedly exposed himself to teen-age girls while on the trolley. He was charged with child annoyance and held for $20,000 bail. Fight. 800 block of Glenneyre St. 6 p.m. Paramedics were called to aid a man injured in a fight. Police arrested the suspected combatant for battery. Traffic collision. 200 block of Viejo St. 1:28 a.m. After a vehicle hit two parked cars, a 55-year-old Laguna Baeach man was cited for DUI. Pedestrian stop. 300 block of Cliff Dr. 1 p.m. A 60-year-old Laguna Beach homeless person was arrested for disturbance and battery warrants. Theft. 400 block of Locust St. 1:34 p.m. A package left for pickup was taken from a driveway. Traffic collision. Laguna Canyon Rd. 4:56 p.m. Three vehicles were involved in a collision. Robbery. 200 block of Broadway St. 7:39 p.m.. Herbert Ernesto Martinez, 24, of El Monte, suspected of confronting a clerk over a stolen beer was arrested for suspicion of robbery and held for $100,000 bail. DUI. S. Coast Hwy. 11:12 p.m. A 31-year-old Norwalk man was cited for DUI. Burglary. 400 block of S. Coast Hwy. 11:25 p.m. Jewelry, bags, a wallet and credit cards valued at $5,000 were taken. Vehicle stop. Wave St. 12:16 a.mA 56-year-old New Jersey man was cited for DUI. Traffic stop. Vista del Sol. 9:47 a.m. A 26-year-old Los Angeles man was arrested for a $30,000 warrant. Traffic collision. 31800 block of Coast Hwy. 3:37 p.m. A motorist complained of neck pain following a collision. Drunk driving. 100 block of N. Coast Hwy. 6:47 a.m. Kimberly Kay, 34, of San Juan Capistrano, was arrested for suspicion of DUI and held for $10,000 bail due to a prior offense. Vandalism. 3200 block of Alta Laguna Blvd. 8:48 a.m. City cameras were damaged but picked up images of possible suspects at 3:19 a.m.
Pedestrian stop. 600 block of Laguna Canyon Rd. Joshua Tyrone Webster, 40, of Newport Beach, was arrested for a $100,000 robbery warrant. Pedestrian stop. 1900 block of S. Coast Hwy. 3:32 p.m. Michael Brian Messinger, 33, of Long Beach, was arrested for an outstanding warrant. Stolen vehicle. 8:22 p.m. Breanna Denae Henderson, 24, of Cerritos, was arrested for suspicion of auto theft and held for $20,000 bail. Grand theft. 30800 block of Coast Hwy. A guest reported the loss of a $40,000 Rolex watch from inside a room. Traffic stop. Cleo St. 2 a.m. A 44-year-old Los Angeles resident was cited for DUI. Traffic stop. Jasmine St. 2:31 a.m. A teen, 19, from Irvine, was arrested for DUI.